Hauser & Wirth Somerset is proud to present ‘Unconscious Landscape. 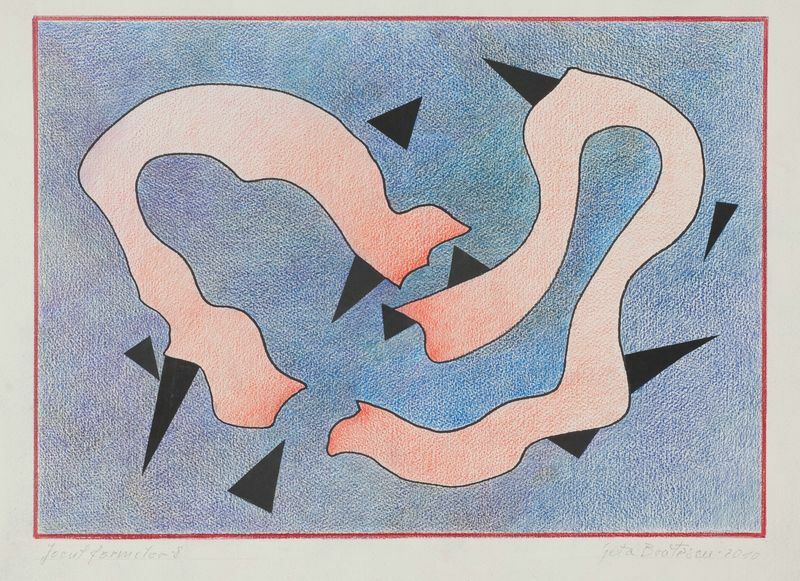 Works from the Ursula Hauser Collection’, an exhibition focused entirely on female artists. Over the course of four decades Ursula Hauser has assembled a deeply personal collection of works that brings together a remarkable overview of late 20th century modern masters in dialogue with contemporary artists. 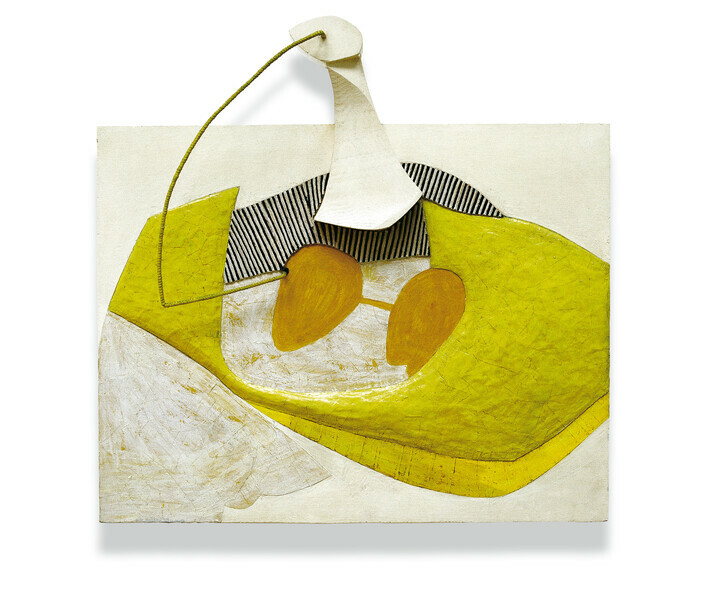 The exhibition, which is curated by Ursula Hauser’s daughter Manuela Wirth, together with Laura Bechter, Curator of the Ursula Hauser Collection, spans all five galleries in Somerset, presenting 70 works by female artists and artists’ estates including Louise Bourgeois, Heidi Bucher, Sonia Gomes, Eva Hesse, Sheila Hicks, Maria Lassnig, Lee Lozano, Meret Oppenheim, Carol Rama, Sylvia Sleigh and Alina Szapocznikow. 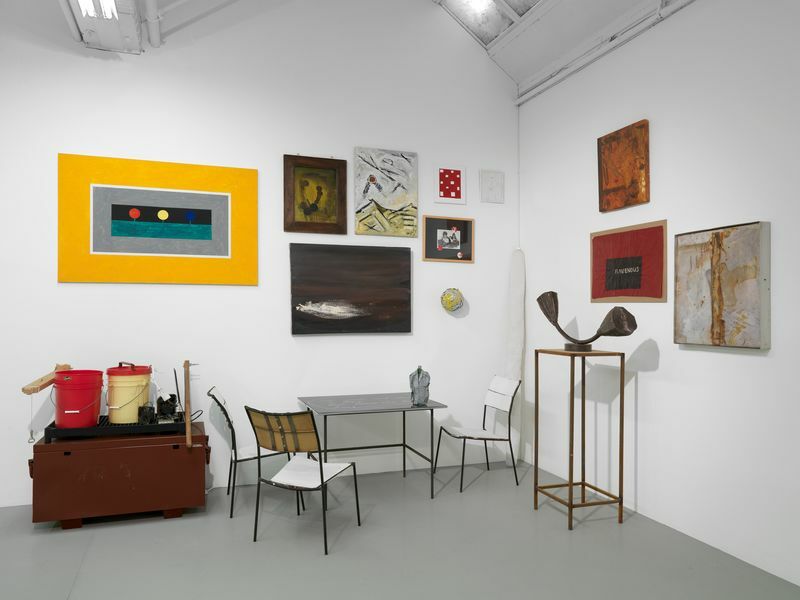 This presentation follows a series of Hauser & Wirth exhibitions focused on important private collections including the Onnasch Collection, The Panza Collection and the Perlstein Collection. Ursula Hauser has collected the work of female artists for the last forty years, long before equality in the visual arts became a talking point. She has always been drawn to work by visionary women, many of whom she has built long-standing relationships with. ‘Unconscious Landscape’ takes its title from Louise Bourgeois’ eponymous bronze sculpture (1967 – 68), which is included in the exhibition. The title alludes to how the collection has been formed; Ursula Hauser’s unconscious seeking out artists that she feels an affinity with, assembling works that she has a strong emotional draw to. 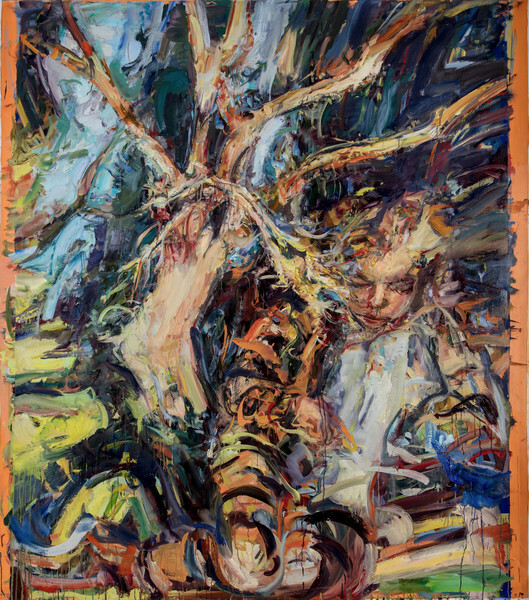 Through this instinctive process, the collection is full of often challenging works that are intertwined with Hauser’s own personal trajectory. Bourgeois features prominently in the exhibition, which opens with three Portrait Cells, a subset of her famous Cell series. The Cells are stand-alone spatial installations, each containing sculptural forms arranged within the confines of a cell-like structure. 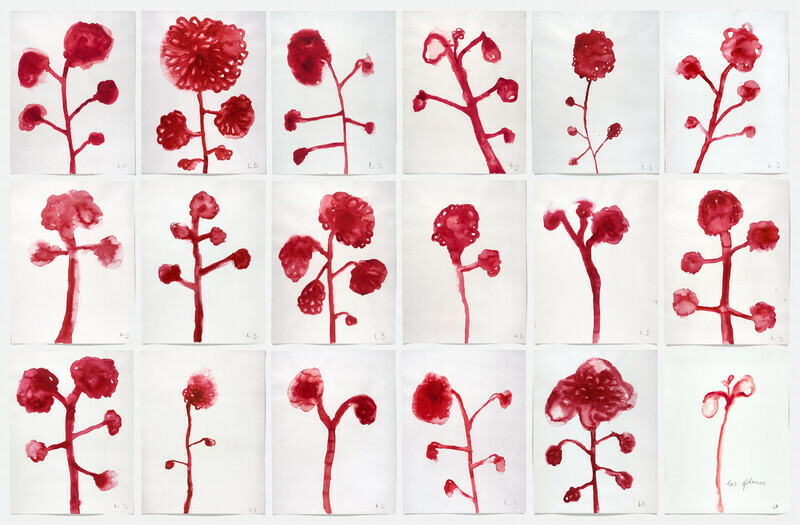 Louise Bourgeois made over 60 Cells in her lifetime and through them examined themes of loss, abandonment, memory and fear, using them as a tool to investigate her own subconscious. Two of Bourgeois’ signature spiders are included in the exhibition. The first smaller scale sculpture occupies an alcove of the Threshing Barn, only becoming apparent as you pass through the space. The second and much larger ‘Spider’ (1996), confronts the viewer upon entering the Rhoades gallery, as one is forced to walk underneath its towering legs to continue into the room. Spiders held great symbolism for Bourgeois, representing a protective, maternal figure and often more specifically her own mother who was a weaver, and oversaw the family’s tapestry restoration business. 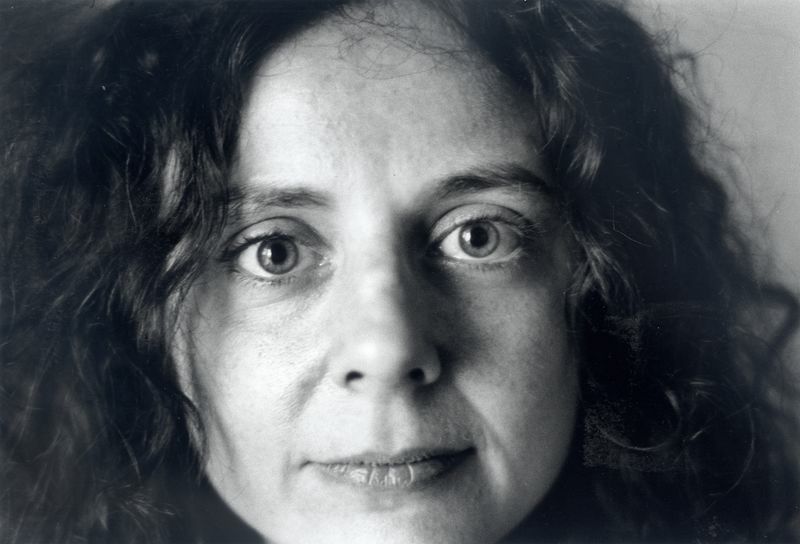 Ursula Hauser first met Bourgeois in the 1990s and found they had much in common, remaining friends until Bourgeois’ death in 2010. The Bourgeois works in her collection deal with existential questions of birth, death, motherhood, sexuality and vulnerability, from which an essential thread runs through the exhibition. 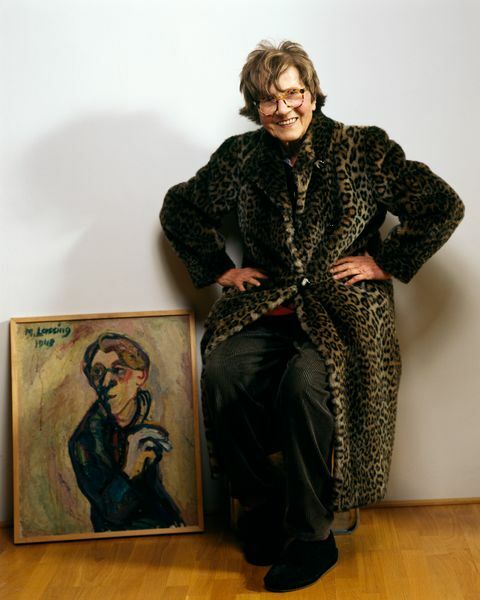 Another artist with whom Ursula Hauser had a close friendship was Maria Lassnig, who Hauser often visited in her studio, acquiring many of her vivid and often discomforting portrayals of human figures. The Lassnig works in the Ursula Hauser Collection date from 1954 through to 2010. Four paintings hang in the Threshing Barn gallery including ‘Die Rasende Grossmutter’ (The Racing Grandmother) (1963), which exemplifies the artist’s experiments in abstraction from this time, testifying to the close relationship of her body awareness painting with surrealism. The surrealist approach is the focus of the second room in the exhibition, with works by Meret Oppenheim, Alina Szapocnikow, Louise Bourgeois and Heidi Bucher on view. Alina Szapocnikow’s ‘Bouche en Marche’ (1966 – 1970), depicts six casts of the artist’s own mouth on stalks. Whilst surrealism was dominated early on by men who fetishised the female form in its entirety, artists such as Szapocnikow were using fragmented body-parts to investigate complex emotions. Women who were exploring surrealism have often been overlooked, with the exception of Swiss painter and sculptor Meret Oppenheim. Unlike the other artists in the exhibition, Oppenheim enjoyed early recognition; her career and genre defining ‘Object’ (1936), a cup and saucer covered in fur, was purchased by MOMA in 1937. A companion piece ‘Fur Gloves with Wooden Fingers’ (1939) is included in the exhibition. Both works take motifs associated with ‘the lady’ – gloves, tea cups and fur, combining them into confounding objects that subvert our understanding of femininity. An entire room in the exhibition is dedicated to the realist paintings of Sylvia Sleigh, with whom Ursula Hauser built a strong bond during her visits to New York, where the British artist was based from the early 1960s until her death in 2010. 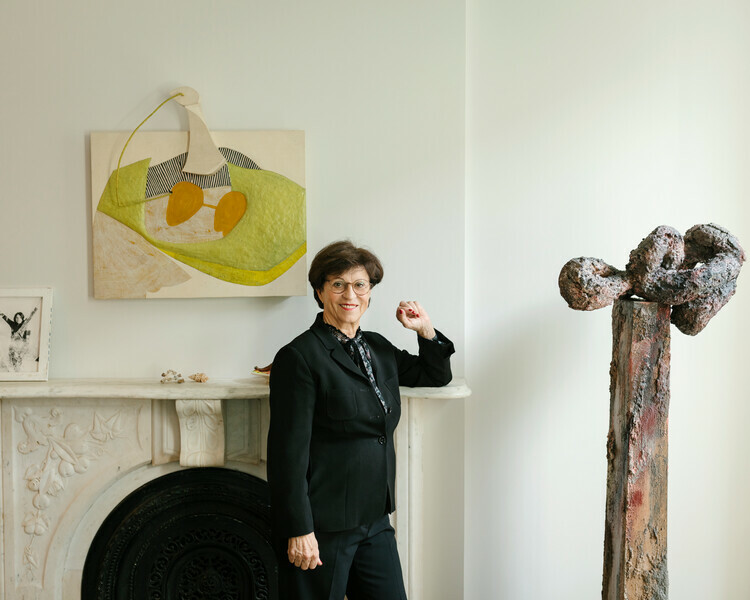 Following Sleigh’s death, Ursula Hauser bought the house she had so often visited, preserving Sleigh’s legacy by installing her paintings and restoring many of her original features. ‘Working at Home’ (1969) is a self-portrait depicting the sitting room in the house. 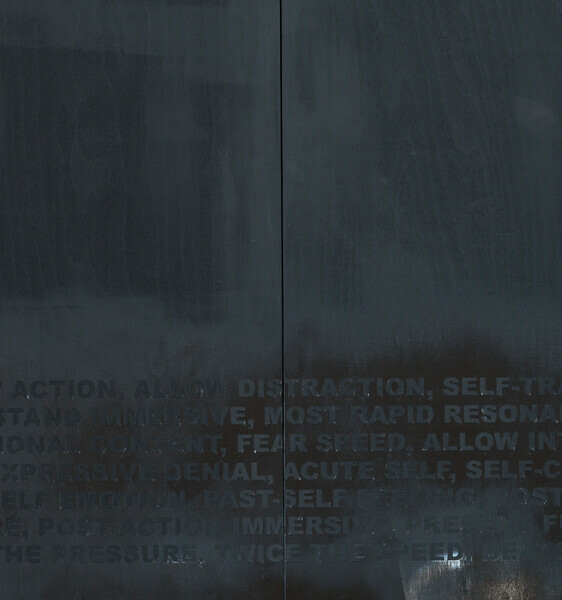 Ursula Hauser had the mirror which is depicted in the painting reconstructed, and both now hang in the room where the work was originally created. Passing underneath the Bourgeois spider into the largest room in the exhibition, the viewer encounters Alina Szapocnikow’s ‘Stele’ (1968), showing a woman’s mouth, chin and knees protruding from a black amorphous slab. The title references ancient funereal monuments, however in this piece the headstone engulfs the body, rather than commemorating it. Two large Lee Lozano paintings from the artist’s Tool Paintings series hang on the wall behind, images of everyday hardware that are so anthropomorphised they appear to be objects in sexualised motion. The exhibition culminates with Louise Bourgeois’ ‘Legs’ (1986), which was the first Bourgeois work in Ursula Hauser’s collection and remains one of the pieces closest to her heart, always installed in her home. She first encountered the work at the Venice Biennale in 1993 and became utterly transfixed by this hanging sculpture that depicts two elongated legs, suspended in space and time. 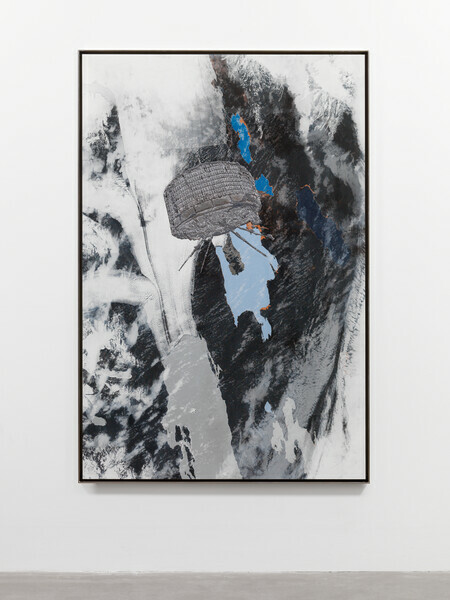 She was able to purchase the work and it was shortly afterwards that she visited Bourgeois at her studio in Brooklyn, a meeting her daughter Manuela Wirth describes as ‘the most profound moment in her life as a collector’. Coinciding with the exhibition, a new book titled ‘Inner mirror: Conversations with Ursula Hauser, Art Collector’ is being published. A series of interviews with Ursula Hauser led by Laura Bechter & Michaela Unterdörfer, presents the first-ever extensive and intimate account of her life and art collection. The book will be produced in both English and German.